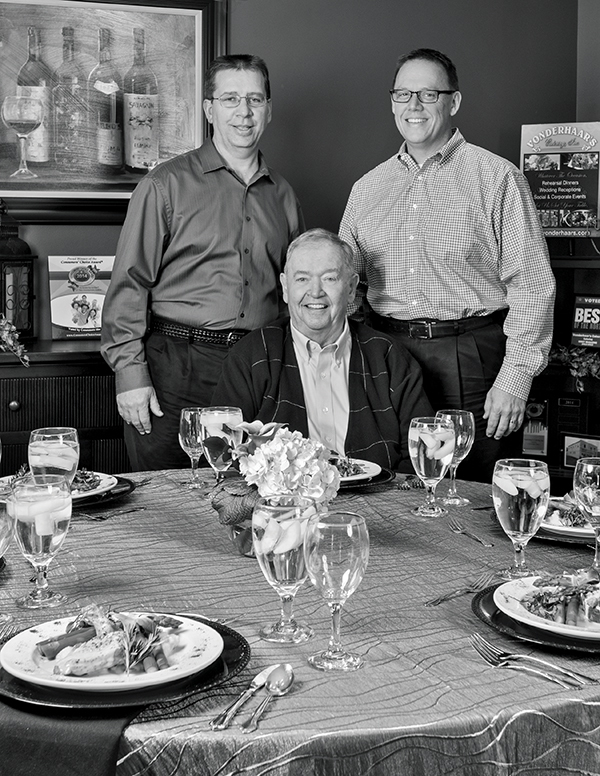 The first Vonderhaar’s Catering job held tremendous significance, especially since it was founder Don Vonderhaar Sr.’s wedding reception in 1970. Don Jr. tells people he started working in the business as soon as he started walking. While that may be an exaggeration, given Don’s dedication to the business, it is certain that even at an early age he was learning all about the business he now runs. Jerry Boehner | Don Vonderhaar Sr. (seated) | Don Vonderhaar Jr.
As a result of hard work and solid performance, Vonderhaar’s has catered at just about every facility in the region and is a preferred caterer at many locations, including the venues operated by Cincinnati Premier Parks, the Aronoff Center for the Performing Arts, Cincinnati Playhouse in the Park, Cooper Creek Event Center, Wiedemann Hill Mansion, and Lake Lyndsay. They are the exclusive caterer of the Historic Hauck Mansion. Chef Roger Hollstegge and his culinary team welcome the opportunity to customize their clients’ menus. Vonderhaar’s offers this level of professionalism to each client with a comprehensive selection of services including complete event planning, bar service, rentals, and just about anything customers may request to help facilitate a special event or occasion.